Autocar reported Friday that the Beijing Chaoyang District Court sided with Land Rover and found Jiangling Motor Corporation, the Chinese automaker that produces Land Wind vehicles, in violation of intellectual property laws. 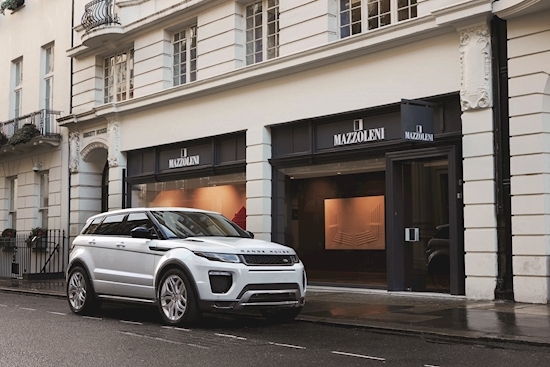 Specifically, the court named five areas Land Wind copied from the Evoque and JMC has caused consumer confusion. The Land Wind X7 looks identical to the Evoque, but it costs about $18,000 less in China. Land Rover filed the first lawsuit in 2016 after the vehicle debuted for copyright infringement. Local laws have made it difficult for automakers to much, if anything, about automakers in China copying designs from Western automakers, but Jaguar Land Rover hailed the Beijing court's decision as a major victory for all automakers. The automaker's global head of legal, Keith Benjamin, said the decision upholds consumer rights to ensure they are not misled. All the while, it protects investments in design. The automaker also called the decision a "first in the global car industry." As for Land Wind and JMC, the court instructed the automaker to immediately halt sales of the X7 SUV, stop production, and cease marketing the vehicle. Additionally, Jaguar-Land Rover is also due an unspecified compensation figure from the Chinese automaker. The victory in court by a foreign automaker in China will likely open the floodgates of other European automakers suing local Chinese automakers for copying original designs. Most likely is Porsche, which watched as Chinese brand Zotye cloned the Macan SUV for its own vehicle.